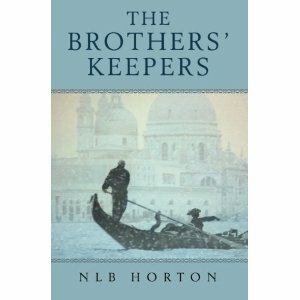 NLB Horton’s “The Brothers’ Keepers” is the second in her Parched series. Archaeologist Grace Madison finds herself in the middle of a sinister plot involving an ancient cuneiform clay tablet, life threatening danger surrounding family members, kidnapping, and the rescue of an old friend. Horton is an award winning journalist; she incorporates her background in journalism, world travel, and her interest in archaeology with a creative imagination to produce an entertaining, and informative story line. Her command of language, excellent descriptions, memorable dialog, and strong characters make this a memorable reading experience. Her references to architecture, art, and the cuisine of locales from Brussels to France, Germany, and Switzerland add an extra treat for the world class traveler as well as the armchair “wanna be” tourist. A reader’s guide provides thought probing questions for thought and discussion for book clubs, or to stimulate additional enjoyment for reflection for the individual reader. A helpful glossary of terms specific to the story is included for clarification and understanding. “Where Treetops Glisten” is a collaboration of a trio of favorite Christmas romance authors Tricia Goyer, Cara Putman, and Sarah Sundin. The book features three much loved Christmas themes that will bring back nostalgic memories of the past for many readers and a new sense of appreciation and understanding of the past by, a new generation, and future generations of readers. Louise Turner permeated faith, wisdom, and joy. She longed to instill these same virtues in her family at a time of turbulence in a world torn apart by war. These deeply moving stories revolve around the lives of three of the Turner family and illustrate how personal loss, wrong choices, and betrayal can become tools in God’s hand for building character, faith and hope. The Turner family story takes the reader full circle from Christmas 194l through Christmas 1945 when the whole family is reunited in their hometown, Lafayette, Indiana. Warm nostalgic Christmas reading, with a balance of realism and romantic fantasy. Entertaining, faith building, and a reminder of God’s providence. A review copy of this book was provided for review purposes. The opinions expressed are my own.